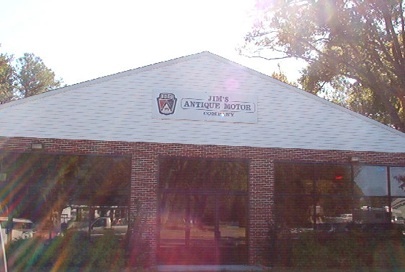 "Jim's Antique Motor Company" is the name of the Ford museum on First Street in Colonial Beach. When owner Jim Still is not at this location, he's running his Electric Motor Company business in Alexandria. Hopefully you like the 1954 year models because that is all that is in the place. Forty or so of them are housed there. There are huge billboards hung on the walls and memorabilia in addition to the cars that are on display. In addition to spending countless hours collecting and refurbishing these vehicles, Jim has even transformed an actual wrecked model into a sweet yellow golf cart. There's a group of collectors online at 1954ford.com and 80 of their members held their convention at this location back in 2008. Come on out and take a look! Contact jim@jimsantiquemotors.com for hours of operation and other information. To get there, turn onto 1st Street from Route 205 (between the police station and Ola's Country Kitchen). Look for it on your right. If you get to the High School then you've gone too far. Someone even brought Jim an official "Ford" sign to put outside the place! It looks great.